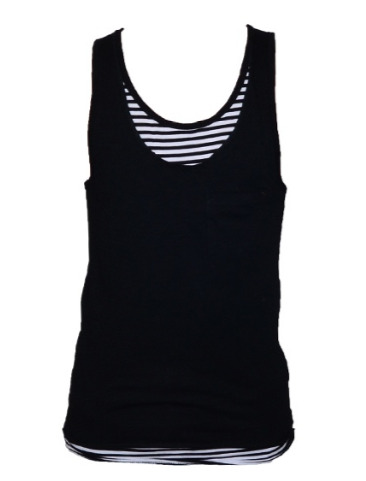 Get ready for the summer with this fabulous singlet from Deacon on the Love Of Eos website. Whether you have left your beach body at home or at the gym this luxury garment is sure to have people turning heads for all the right reasons. The military ain't the only guys who have the "gun show" on display as women will only be forced stroke those biceps in sheer amazement...trust me I know! As what can only be described as the opposite to a girls "little black dress" this little number has two layers of cotton pleasure laying gloriouslyy across your chest that will have you looking like a NFL referee on Bondi Beach. Obviously I can't send you out in the summer in just this which is why I highly recommend you either dig those three quarter lengths shorts from the back of the wardrobe or nip down to your nearest and dearest high street retailer and copp the freshest pair of shorts and jesus creepers to make this outfit complete. Don't say I didn't warn you people....Enjoy!! !